EyeCGas® FX is an innovative automatic gas leak detection and alert system specially designed for the natural gas, oil, petrochemical, and agribusiness industries. EyeCGas FX provides 24/7 continuous monitoring and alerting, and as such, was created for installation in factories, terminals, oil & gas storage farms, and offshore platforms and rigs. 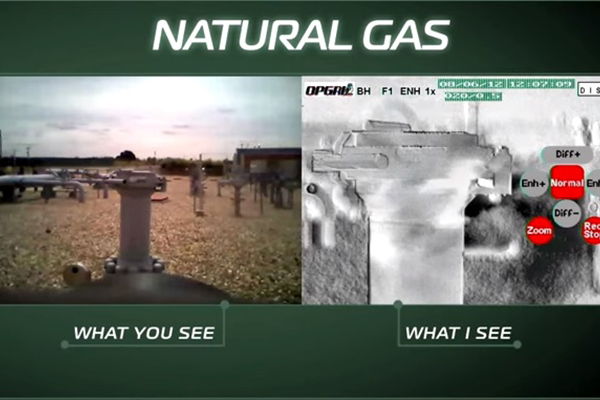 The system uses OGI technology with proprietary analytics and image processing algorithms to quickly and remotely detect any gas leaks in its field of view, including those in physically inaccessible areas. The camera systems are installed in critical positions throughout the facility and networked so that they provide automatic real-time alerts. The data is fed back to the control room so that you can quickly, safely, and remotely react to potentially hazardous events. 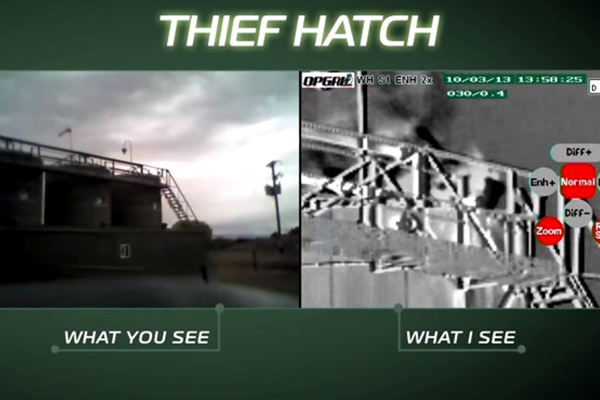 Color images and IR video are continuously analyzed and can be saved locally (in the camera) or remotely (feed sent to control room). 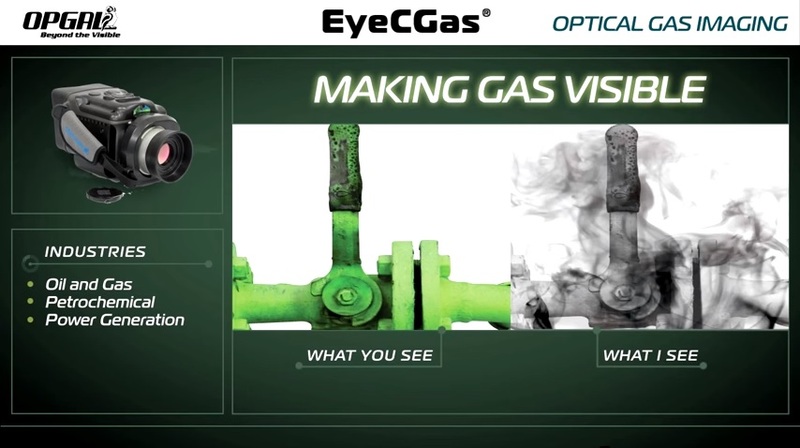 EyeCGas FX is a complete solution that provides both cameras and controlling software for detection and alerting of gas leaks in real-time. 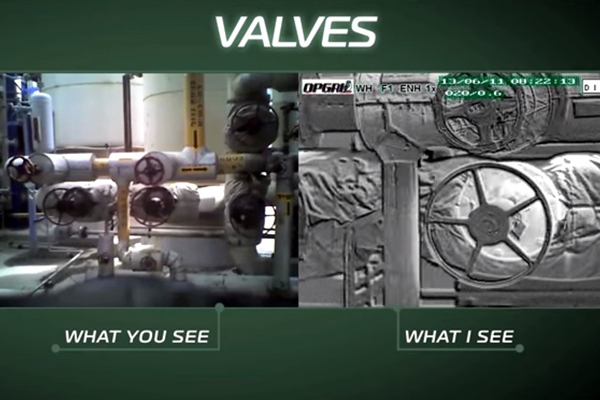 EyeCGas FX utilizes Opgal’s optical gas imaging technology and proprietary analytics to provide you with a 24/7 monitoring option for your facility. For more information or a quote, contact us today. 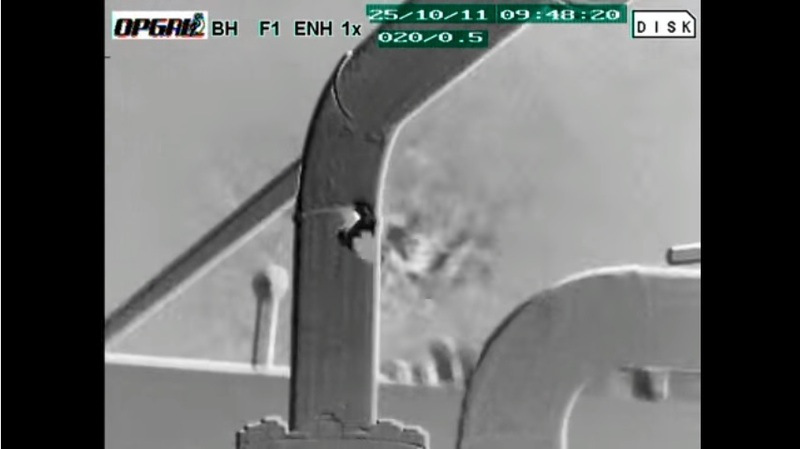 Operation features -Enhanced and normal thermal modes and PIP with the color image. 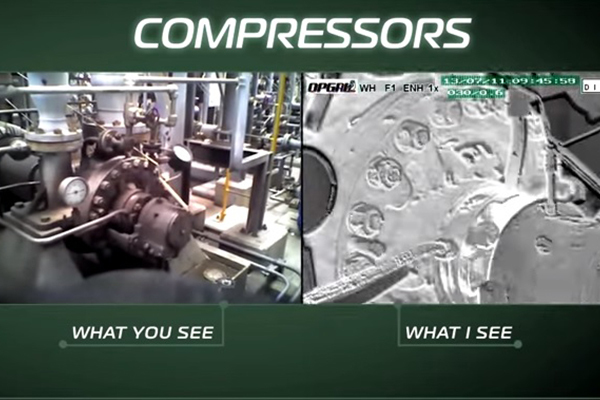 -Automatic detection of a gas leak allowing video streaming on a screen display of the colorized leak in the control room for decision making, or dry contact for designated control or shut-down command. 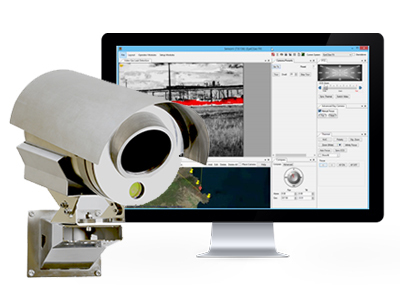 -24/7 continuous operation monitoring and alarm. -Video selection Thermal/Color over Ethernet.